Many shoppers compare the 2018 Ford Escape vs the 2018 Toyota RAV4. The compact SUVs share a number of traits, which might lead to wonder if there’s really much of a difference between them. The reality is there are some key differentiations that set these competitors apart. In this 2018 Ford Escape review, you’ll understand what you get in the SUV that you don’t with the Toyota RAV4. You won’t be racing either vehicle, but performance does matter when looking at the Ford Escape and Toyota RAV4. Whichever option you choose will need to deal with steep hill climbs, merging onto the freeway in a hurry, sudden lane changes, and the rigors of everyday driving. Turbocharged engines are available for the Ford Escape, but not the Toyota RAV4. That means fun performance mixed with efficiency, creating a combination that’s enjoyable and practical. For example, the 2018 Ford Escape SE uses a 1.5-liter EcoBoost engine. Not only is it responsive, the standard auto start-stop system keeps the SUV from idling when you’re stopped, boosting fuel economy. safe in a collision or prevent one from even happening can be had with either vehicle. Still, some key differences arise between the Ford Escape and Toyota RAV4. Know that the Ford Escape boasts superior safety. It has earned a 5-Star Overall Safety rating from the National Highway Traffic Safety Administration (NHTSA). That’s a coveted honor among automakers and a tremendous accomplishment by Ford. Following testing, the NHTSA concluded the 2018 Ford Escape outperformed the Toyota RAV4 in head-on collision safety. It’s the kind of vehicle you can trust to transport you and your family. Let’s face it: you get a crossover for its utilitarian nature over a car. While both the Ford Escape and Toyota RAV4 certainly pack a healthy amount of utility, they are far from equal. Wheelbase length makes a big difference in road stability. While the two SUVs are close to each other in size, the Ford Escape has a wheelbase that’s one inch longer. It’s a difference you’ll feel constantly, making you more confident and secure. By choosing the Ford Escape, your backseat passengers enjoy get two additional inches in combined legroom and headroom than in the Toyota RAV4. That means less complaining during longer trips, since everyone is more comfortable. 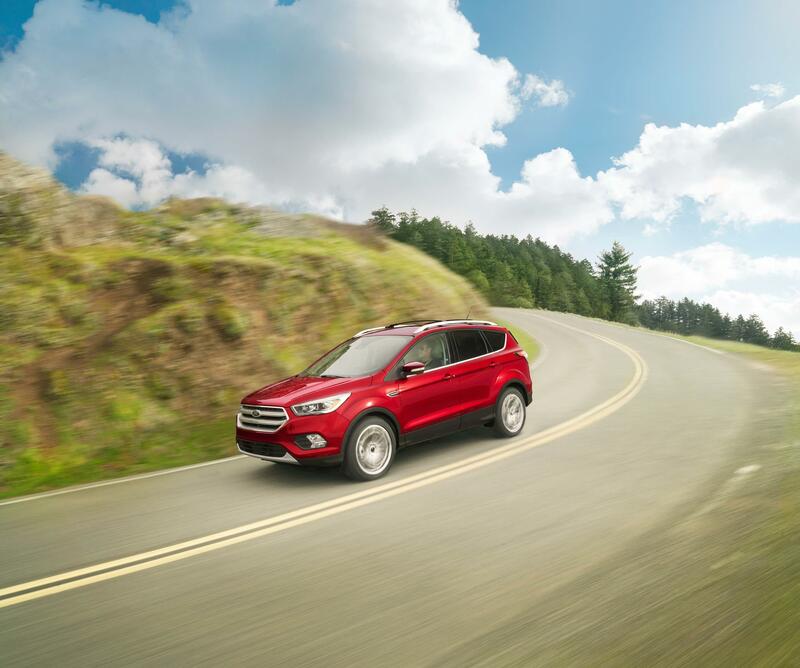 Even taller adults will love riding in the Ford Escape. Towing capabilities is another item on the list that the Ford Escape can be counted on, pulling 1,750 pounds beyond the maximum rating for that of the Toyota RAV4. That makes it better for hauling things in a trailer or taking toys along for a weekend of fun in the great outdoors. So when you’re reading to get a great deal on a 2018 Ford Escape for sale, come by your Southern California Ford Dealers today.